The MVP summit is a time when Microsoft all the “Most Valuable Professionals” from across the globe to converge on its campus to meet with its product team. 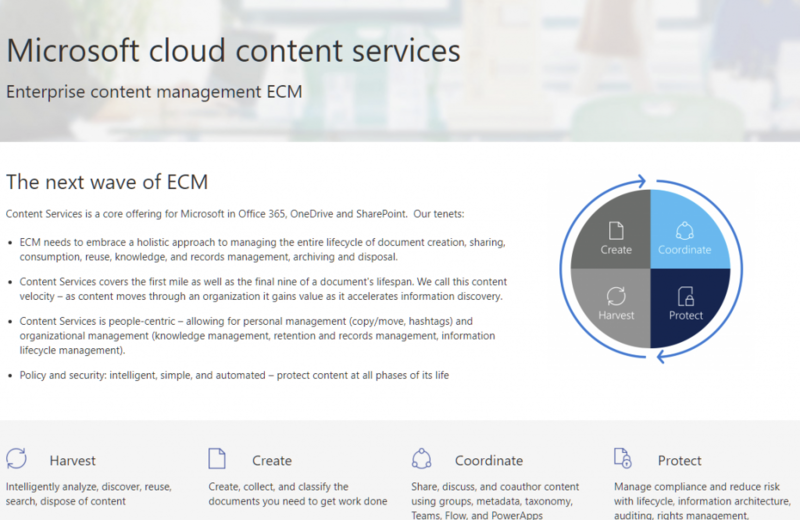 Since we are under strict non-disclosure agreements unfortunately I can’t share with you what I saw or what we talked about, but in general I can tell you I’m excited about the direction in which the Office 365 services are headed. Microsoft essentially started from scratch with the “modern” SharePoint interface, as well as with PowerApps and Flow. As such, the last few years have been spent investing in basic platform infrastructure. It seems that now all the products are finally getting a little of fine-tuning they’ve been needing that will give them the flexibility to work in broader scenarios. It’s exciting to see how things will shake out in the next year. Lookbook/Flipbook: Both SharePoint and Teams have adopted the concept of a lookbook to convey the core concepts of the product. Each lookbook actually looks an electronic copy of a book (much like if you’ve ever looked at coupon circulars online or something similar), where you can page through the “book”. However, unlike a real book, this look book can contain embedded videos as well as infographics and text. (Of course, you can also download a PDF version as well.) 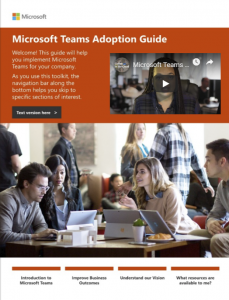 The SharePoint Lookbook in particular gives you an idea about the direction the SharePoint team is headed in terms of news, hubs, communication sites, etc. Stream: If you go to http://aka.ms/streamideas you will see a list of ideas from the general public for ways to improve Stream. The most exciting thing I see on that list is that the Stream team is working on a way to embed Stream videos from your tenant on a public web site. This is huge in my opinion. Literally just today I had a conversation with a client who wants to be able to post webinar videos to folks outside the organization. As a thank you this year, the product team got us all socks! 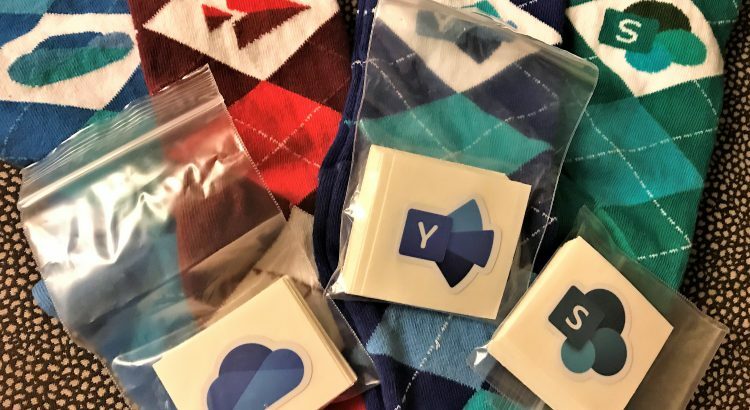 Yes, they are socks with the new, re-imagined Office 365 logos. While teal is not usually my go-to color, it might just have to start becoming part of my wardrobe.